On Mount Filerimos, the ancient city of Ialyssos occupying a beautiful site overlooking the coastal plain. Ialyssos was one of the three ancient cities of Rhodes , who belonged to the Dorian incorporated with Hexapole Lindos , Camiros , Kos , Cnidus and Halicarnassus . Since Trianta , a road lined with cypress trees leads to the archaeological site of Ialyssos (Ιαλυσός) (6 km). To the right of the entrance, a staircase descends to the ancient fountain decorated with four lions’ muzzles. 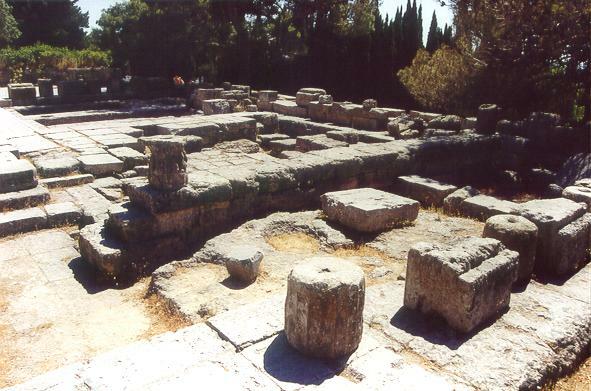 Ialyssos, ancient Ialyse, was one of the first cities of the island there are more than 3000 years. 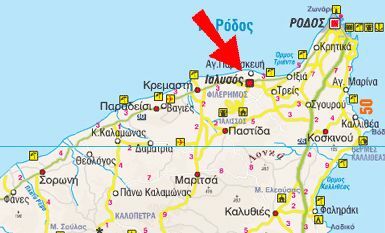 The area was first settled by the tribe of pre-Hellenic Cares, which were followed by the Phoenicians. She was also known to the Minoan and Mycenaean periods. In the fifteenth century BC, the Minoan coastal city Achaia was destroyed by a natural disaster, and transferred to the foot of Mt. The Dorians Rhodes ousted the Phoenicians in the tenth century BC and the city was again moved to the coast in the direction of Kremasti . 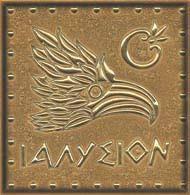 She took the name of Ialyssos - a grand-son of Helios, the sun god. The city declined considerably after the founding of the city of Rhodes in 408 BC, to which it gave the greatest number of people, only the acropolis was an excellent strategic position survived a few centuries. Protogenes painter of the second half of the fourth century BC? Protogenes Caunos was from Caria, but he lived mostly in the island of Rhodes. He was an artist very conscientious and scrupulous, which produced little. It has long been poor and unknown, and it is reported that, until about the age of fifty, he had to create resources in decorating vessels. According to a tradition, Protogenes set, seven, eleven years to run its array of Ialyssos, representing the hero protector of the city, and went elsewhere for his masterpiece. At the time of Pliny the table Ialyssos was carried to Rome by Cassius and placed in the Temple of Peace, where he was burned under Commodus. Ialyssos is also the home of boxer Diagoras of Rhodes (Διαγόρας ό Ρόδιος), Olympic champion in the fifth century BC, celebrated by Pindar. 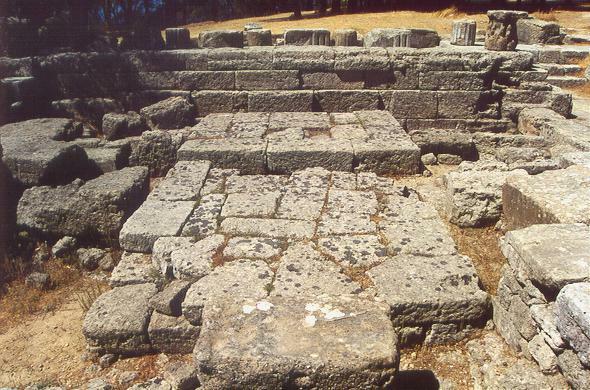 The ruins of a Doric temple dedicated to the goddess grand Polias Athena (Minerva) and Zeus (fourth century BC), erected on the site of an ancient sanctuary of Phoenician origin. The ruins of the temple of Athena themselves are half covered by the remains of an early Christian basilica with three naves. The temple was approximately 23 m long and 12 m wide.